Be for the elimination of those who would be abuse the power entrusted to them by those they are to serve and protect. 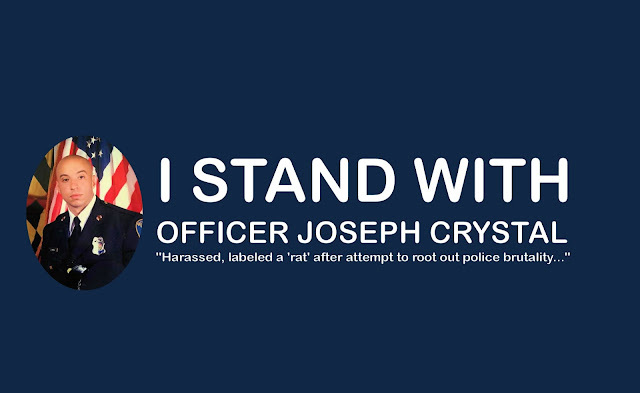 So I made the graphic above using an image sourced from the New York Daily News article (referenced below) for those who flocked to support the police as individuals and as an entity when under fire for the right reasons, should they decide that it is time to stand behind someone who was the right person for the job, who did the right thing, and was then exiled for it. For other who do actually choose to Stand with Officer Joseph Crystal feel free to share this image as well.